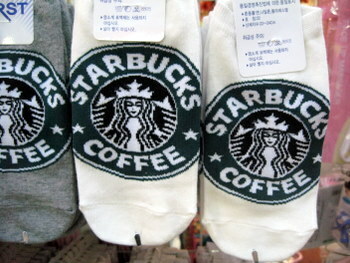 Spotted in Seoul: Starbucks socks. I’m pretty sure that the company did not license these, but they’re very cute. I didn’t buy them at the time. I kind of wish I had, though!